On April 7, 2016, Lisa Ohlin’s feature film Walk with me had its Danish premiere. It received a warm critical response. 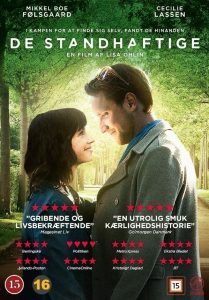 The film is about the encounter between a wounded Danish UN soldier and a dancer from the Royal Danish Ballet. It is based, in part, on real events. The film has been sold to several countries outside the Nordic region, such as France, Slovenia, Croatia, Brazil and China. Sebastian Öberg and Magnus Jarlbo created the soundtrack.